THE NEXT ‘A-LISTER’ IS GROWING FASTER THAN APPLE AND GOOGLE! Heck, in the future, it might not even be seen as “smart” to invest in big,-name stocks like Google or Apple after what you’re about to see. What if you could get the million dollar returns a small-cap delivers with the security and track record of a big company? And I’m not talking about trading options either. What if you had a unique way to get into top big-name, ‘a-list’ stocks before they skyrocketed 439%…556%…even, 6,362%…? I recommended this company to my early clients. It turned $5,000 into $323,100. I’m talking about a true ground-floor opportunity without the massive risk. One opportunity turned $5,000 into $323,100. And it’s a stock I recommended to my own clients when I was a broker. I call these risk-free ground-floor plays the “A-Lister Stocks of Tomorrow.”(ALST). I’d go as far to say these ALST plays are better than any old Dow Jones stocks by miles. One in particular is a major disruptor. I believe it’s one of the top stocks to buy in the next decade. McKinsey research claims over $7.5 TRILLION will need to be invested by 2030 into this company’s sector. That’s a 1,500% increase from the market size of this entire industry right now! This company’s stock has already risen 100.84% and climbing daily. Not to mention, it’s dividend has increased for 5 straight years. CPA, Peter Stella*, invested in this ALST and will collect over $19,282 in dividends alone in the next 3 months. They have exponential growth in their future. Their revenues are estimated to bump an incredible 25%. That’s better than Apple or Google. …and millions were up for grabs. That’s why — despite what the average investor might think, buying low-risk, billion-dollar market cap stocks can still make you very rich. Dom Ruso got into one ALST stock at around ‘01 prices and now earns $121,045 income every quarter! Plus, you never have to risk your nest egg investing in a hyped IPO or penny stocks. But only during a specific timeframe. It’s not always easy to spot this timeframe, so pay close attention because I’m about to show you. Because there’s a ‘key’ to this pattern which unlocks the money. It doesn’t have anything to do with complicated technical analysis or reading stock charts. You’re not trying to ‘time’ the market either. That’s a recipe for disaster as I’m sure you know. $10,000 would’ve turned into a nice $43,900 payday (and it’s still climbing with dividends). Here’s Exxon’s clutch opportunity where it shot up 556%. $10,000 would’ve became $55,600 quickly. These type of rapid movements turn the company into a ‘buy and hold forever’ stock. They no longer are an ALST. Simply, invest in ALSTs right before their clutch moment and you could easily buy a second house, pay off your debts, and live comfortably for life. This next company’s clutch moment would’ve done all this for you and more. If you had invested right before Charles Schwab’s big, clutch opportunity, you’d be sitting on a retirement fortune. A 14,343% winner. Every $10,000 became $1,434,300 with dividends to boot! All thanks to their ‘clutch opportunity’ that vaulted them into lifelong A-LIST status. I’ll share with you the ‘clutch opportunity’ they took advantage of in a minute. Either way, you would’ve already been a millionaire if you had invested along with my clients. Again, the mind-blowing point of all this is: fortunes could come from billion-dollar, innovative companies. Today, I’m going to reveal where to invest in the next household companies. Names like Coke, Johnson & Johnson and Charles Schwab, before they became large-cap titans and beat their clutch opportunity. I have 3 companies in particular that are worth investing in right now before they hit their clutch opportunity. If you’re retired or near retirement, this is important. Listen up. Because I’ve actually been finding these plays for 37 years and have made my clients rich. For over 37 years, I’ve been digging up future A-LIST companies in the stock markets. I spent nearly 20 years at Charles Schwab as a broker and high-level trading executive. I handled millions and millions of dollars in transactions. I’ve worked with clients and readers through: the ‘80’s bull market, the crash of ‘87, the 90’s stock run-up, the Dotcom crash, the Great Recession, and the following bull market. It’s been a wild ride. And I’ve helped clients mint retirement fortunes along the way. Unfortunately, you already missed out on my early recommendations when I told my clients to invest in the ALSTs of the day: Coca-Cola, Microsoft, Exxon, Charles Schwab, Lockheed Martin and Johnson & Johnson. Many of these picks ended up on Kiplinger’s “greatest stocks of all-time” in 2017. (My Exxon pick is #1 on their list). Microsoft: Every $5,000 landed $2,734,980. A mere $15,000 here is now worth north of $3 million. These three stocks were already well-known companies at the time. 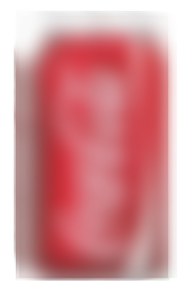 Coke was the top drink in the world. Yet, they still printed money fast for investors because I recommended them at a very unique and specific time. That ‘specific time’ is the clutch opportunity I told you about. I honestly can’t imagine how large your bank account would look now. Or, simply even the decades of financial security you’d have locked up already. You’d be a multi-millionaire many times over even if you had come to me back then with just $20,000. See, I’ve been an insider on Wall Street for decades. I know what goes on. 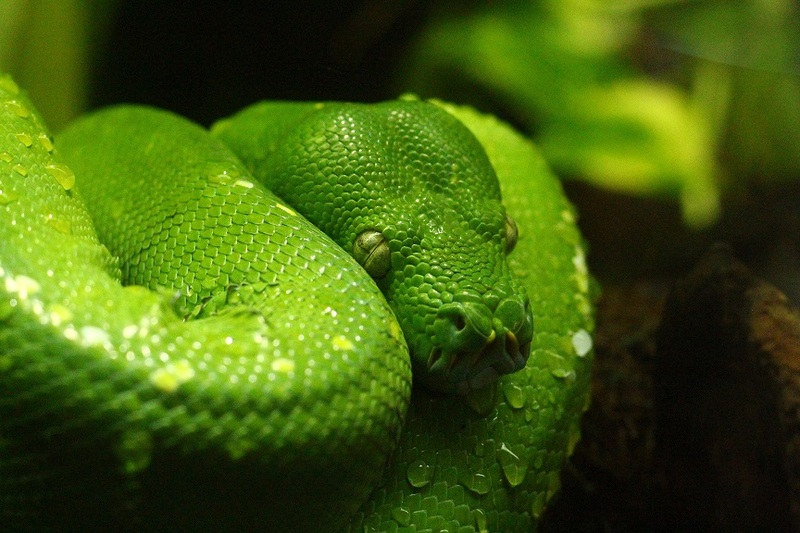 It’s a pit of hungry vipers. One of my old bosses in Pittsburgh landed in jail for fraud. I tried doing things differently. Rather than pushing and churning stocks to gobble up commissions for the broker, I would take clients out to lunch and work on their retirement plans. This hurt me financially as a lot of your money as a broker came from commissions. I didn’t care. I had a duty. I saw the end of the line coming as I was unable to help my clients anymore. I couldn’t take it anymore…I quit. I jumped headfirst into writing independently for financial publications and Emerging Money on CNBC. 15-years later, I’ve made a career about finding the sectors about to deliver the next great household name companies. It’s what I’ve become known for. Where else can you combine a strong, safe, multi-billion dollar company with potentially massive stock returns? In under 6 months in 2017, subscribers could’ve cash out a 105.6% winner on an up-and-coming pharmaceutical company. No one wanted to touch pharmaceuticals with a 10-foot pole…yet this company skyrocketed. That’s a 211.2% annualized gain. In under 4 months in 2017, subscribers had an opportunity at 31.4% gains on an innovative laser company. That’s a 94.2% annualized gain. In under 8 months in 2017, subscribers had a fantastic opportunity to profit 23.7% in the growing automation space. This historic company gets little attention. That will all change as technology automation grows. These are fast gains, and I expect even more to come from these plays. As a stockbroker and Schwab executive for 18 years, uncovering big opportunities was part of my job. I’m trained to find the companies and sectors no one is looking at. Today, I’ve found the best ALSTs aren’t household names yet. So, you won’t hear much about any of this in the papers. That’s why you’ll always have an edge alongside me. And, don’t worry, you don’t have to do any of the research. At the time (80’s and early 90’s), when I recommended Coke and Johnson & Johnson none of these companies were startups. Johnson & Johnson had been around over 100 years. But, they were still what I’d refer to as ALSTs. Many believe billion-dollar companies already had their moments in the sun. Investors should expect 5-8% growth per year to eternity. Rule of thumb says big gains in the stock are less likely in this later stage. This is where the big money can be made. Like the current ALST I’ll show you that’s popped 100.84%. They already do a good $3.8 billion dollars in revenue each year. That doesn’t mean the jig is up and all the big gains are gone. I study the growing sectors. Ones that have tons of runway ahead of them. Usually sectors no one is looking at. Then, I begin digging into specific companies. This is the key to uncovering ALST plays. As you might imagine, you’ll find me at my desk reading most of the day. It’s nice because it’s less hectic than a bustling trading floor like back in the 80s. These ALSTs are sometimes mere weeks from a clutch ‘opportunity.’ A turning point in their company. And that’s when you invest in a low-risk opportunity and see the big gains. Have you ever watched a championship sports game, whether football, baseball, basketball, hockey, golf, the Olympics, etc…? At some point, you’ll hear the phrase ‘clutch’ by the announcers. Maybe one of the most overused phrases in sporting history. Being ‘clutch’ means the athlete ‘pulled through’ in a moment of high stakes. Pressure was at an all-time high and the player performed. It could be Michael Jordan’s game-winning jumper in Game 6 of the 1996 NBA Finals. Or, Team USA’s upset of the Russian hockey team in the 1980’s Olympics. Kirk Gibson limping to the plate with two bad knees in the 1988’s World Series before knocking a 2-run walk-off homerun. Those are memorable, historical, clutch moments in these players (and teams) legacies. With a company, they face similar moments. High stake moments where they either take one path or the other. The classic fork in the road: Will the company make a bold move or stick to the status-quo? There’s typically heavy risks involved like an athlete experiences before taking the last shot. Perhaps, the shareholders are chomping at the bit for higher dividends or company reputation is on the line. A few short years after ‘87, Microsoft released their Office franchise. An innovative (and risky) product that took years of development. long-time CEO, Paul Allen, and the pressure was on. Well…by 1990, the stock was up 200%. This was the ‘ clutch opportunity’ for Microsoft. By 1995, it was up over 1,655%. The rest is history. And you could’ve reaped millions. Today, $5,000 would equal $2,734,980. That’s a major ‘clutch’ moment they hit out of the park and investors rejoiced. I told you about my favorite ‘clutch’ opportunity, Charles Schwab. Well, the company was already 10 years old when I started with them. Still, I saw the vision of the company and I stayed for almost 18 years. That’s why I recommended our stock. It’s not because executives wanted us to move shares…it’s because I saw something big coming. 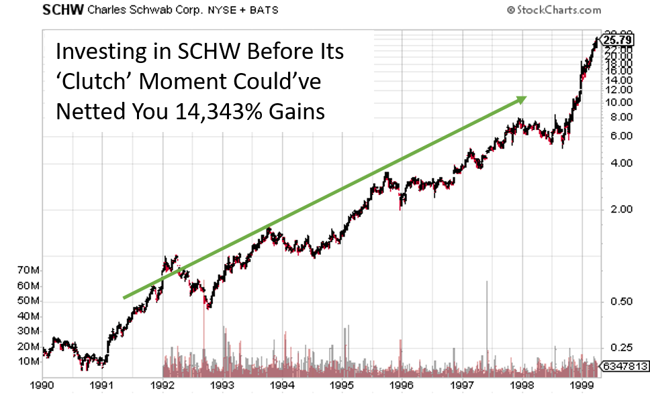 Charles Schwab was one of the first discount brokerages in existence. But, they didn’t sit on their laurels. Instead, when the internet gained ground at the beginning of the 90’s, they went headfirst into online trading. 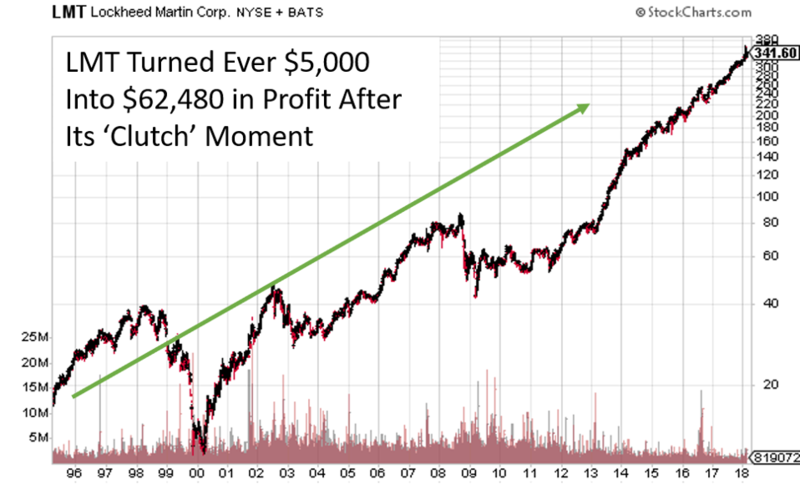 From 1990-2000, the stock popped a jaw-dropping 14,343%. See why ALSTs are much safer and less risky than betting the farm on a pot stock or penny play? That’s no more apparent than my next big recommendation. One of my other ‘early’ pitches to my clients was Lockheed Martin. This company resulted from a merger of two goliaths, Martin Marietta Corporation and the Lockheed Corporation. Martin leaned towards defense and missiles. Lockheed toward transports. The $10 billion merger was a monster in the 90’s. No one knew how it would fare. Yet, I saw this as a huge moment. $5,000 would’ve turned into $62,480. That doesn’t include the 2.5% dividend. These companies faced a major moment in their company…and they performed. Shareholders rejoiced. First, it’s important to know that, every billion-dollar company doesn’t succeed with their clutch moment. In fact, many industry giants collapsed when they faced it. Many large corporations never reach their full potential. They had a chance with their clutch opportunity, and they stumbled. 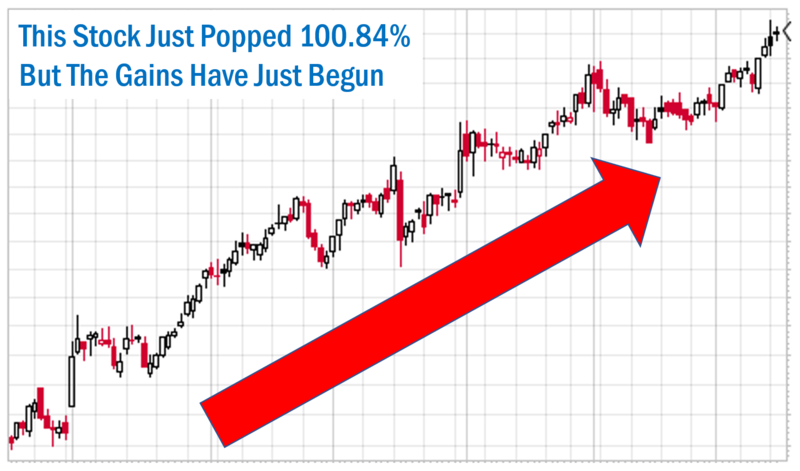 Blockbuster scoffed at on-demand video…their stock dropped 99.97%. Somehow, it still trades for $0.005. Kodak could’ve led the pack in digital cameras. Ironically, their own team developed one of the first digital cameras in the 70’s. They laughed off the invention. Their stock fell from $97 in the late 90’s to $0.76 before they were delisted from the New York Stock Exchange. Blackberry arrogantly thought people still wanted physical buttons on their phones after the iPhone came out…Pre-iPhone, they held a major 20% market share on phones. Today, they own less than 0.1% of the market. No surprise…their stock is down 90.97%. Xerox was a revolutionary printer company. Yet, they also sat on critical computer patents and inventions like the mouse and windows applications. Well, they sold those patents, fell behind, then promptly lost 80.49% from it’s all-time highs and are still sluggish. Those ‘clutch’ moments can be the beginning of all-time stock highs, or bankruptcy. What the company chooses to do could make or break it. But, I believe one particular ALST you’re about to see will be mentioned in the same breath as Pfizer, McKesson, CVS (all Top 10 on Fortune’s 500 list). I’ve watched this company for a year. It’s doing around $3.8 billion in revenue. Yet, no one’s heard of them. But, they’re about to experience hockey-stick growth and reach that ‘critical mass’ I mentioned. Already, in 2017, their revenues are expected to finish 25% higher than 2016. I believe it’s due to the sector’s shift. This is huge as the industry is estimated to be just over $500 billion. Imagine the huge growth right at your doorstep. Shockingly, it’s in a sector no one is talking about. Many don’t think twice about it. Once it goes mainstream the stock will explode like dynamite. That’s why before you put this letter aside…let me share with you why this is urgent. The stock’s already up 100.84% and climbing daily. However, this is only the beginning. A massive announcement should take place in the next three months causing this company to skyrocket. It could easily be a $50 billion dollar company. Because after they help solve a major crisis about to strike every country, including the US, anything can happen. Have you ever snuck out to the grocery store right before a snow storm to get bread and milk? You’ve seen the pandemonium that takes place. Even though the shelves were stocked with no rush the day before. That’s how I can best illustrate what’s coming. The demand will be hot. 2 billion lives will depend on this company’s sector. The crisis is already brewing…In fact, ISIS and the US already battled over this looming problem in 2017. You’d want to invest in produce companies before an international disaster hit, right? You’ll want to invest in this company before this global problem goes mainstream. They’re actually better than a ‘ground floor’ opportunity because you don’t have all the risk. They have a great foundation and business model. It’s diversified so well, here’s the breakdown: public utilities – 47%, industrial firms – 37%, commercial buildings – 11%, residential buildings – 5%. They receive revenues in over 150 different countries. The US accounted for just 46% of that. In China, they saw a 19% increase in income. Many still don’t know of them, nor ever will for another year or so. The biggest reason is due to massive global events already happening that are affecting 2 billion people. And, I’m talking life or death situations. If you position yourself before these events go mainstream, you’ll realize the largest profits in your life. That’s why I’m telling you this now. Like I said, I’m the only financial writer I know talking about this. Yet, they will affect every country and person in them, including yourself. California and Michigan have already seen the first effects. This one company you’ll uncover today could be thrust into the limelight…a potential gold mine…the key ‘moment’ in their company looming…and I see signs it’s already starting. I’ll show you the company that will be at the center of this water crisis in my special report, “The Future A-List Stock of Tomorrow”. At what price point you’ll want to get in. Hint: I’m writing you now because we just hit the perfect price point. However, like I mentioned at the top of this presentation, the stock is up 100.84% in under 24 months. I believe it should easily double again. Because this company’s gaining velocity. In order to see lifetime profits with this stock, you must buy when it is as cheap as possible. You could wait for a dip…but I can’t tell you when that will happen. This stock is so essential to stopping the water crisis, I can’t imagine it will ever drop much again. It simply comes down to your decision now: are you going to let this opportunity pass by (like others) or jump onboard? I won’t force your hand. But, let me tell you this: I rarely sit down and write this much about one company. Most of my top research stays locked up. This water opportunity is one of the largest I’ve ever seen in my 30 years in the markets. I’ll let you in on this company absolutely free today. You’ve already seen how far-reaching an opportunity it is. I told you about CPA, Peter Stella, who invested in this ALST and will collect over $19,282 in dividends alone in the next 3 months. That’s why I’m only allowing serious investors to see this company. It will grow quickly, but is still relatively unknown. So, to get your hands on my free special report (valued at $99), all I ask is you enjoy a trial run of my flagship newsletter, Growth Stock Advisor. This is the premium newsletter that follows other ALST’s in multiple industries. Many are sectors you won’t read much about. Newspapers and large newsletters have one goal — get eyeballs to their website. In order to do that, they must talk about what’s relevant that very day… what’s trending. Events like the water crisis aren’t on average people’s’ minds right now. They’re more focused on Trump or Bitcoin. I find that important but also short-sighted. If you believe yourself a long-term investor who plans on getting rich, you must be invested in the future. Those are the companies I find in Growth Stock Advisor. In under 6 months in 2017, subscribers could cash out a 105.6% winner on an up-and-coming pharmaceutical company. In under 4 months in 2017, subscribers had an opportunity at 31.4% gains on an innovative laser company. I’m still recommending a ‘buy’ on this ALST. In under 8 months in 2017, subscribers had a fantastic opportunity to profit 23.7% in the growing automation space. 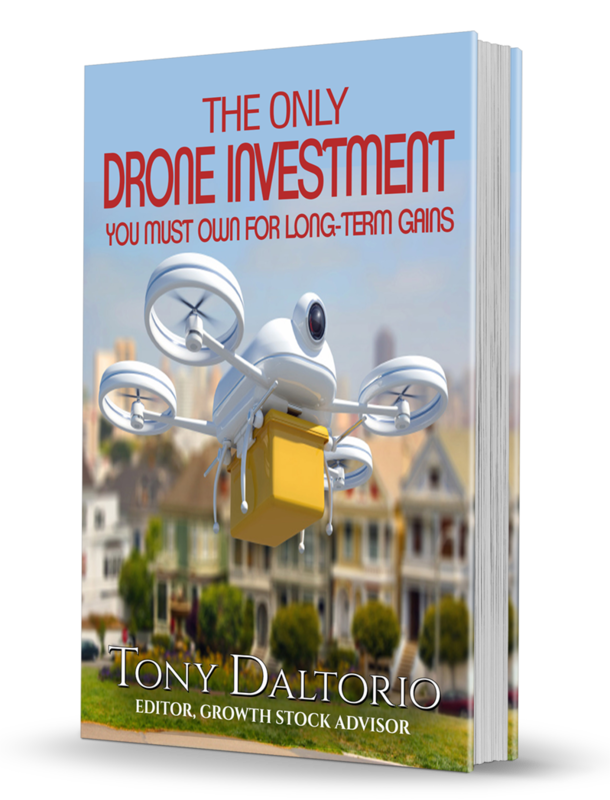 You’re not too late…as I’m still telling readers to ‘buy’ this ALST. 2018 should be an interesting year for stocks, especially the ones I am follown. And I’ll be your guide. 12 monthly Issues of Growth Stock Advisor: Every month I examine the very best opportunities available. Then, I personally outline those opportunities and send them directly to your inbox. Flash E-Mail Alerts: I’ll also send you urgent flash e-mail alerts whenever a red-hot opportunity arises — or a dangerous risk surfaces — anytime during the month. This will include clear, unmistakable buy or sell instructions… no guesswork required. Portfolio Reviews: Here, you’ll find a complete list of all my recommended holdings, with real-time updates on all your positions. No mysteries… you’ll instantly know whether you’re winning on a position, at any time. Bi-weekly market updates. As part of your membership, I’ll keep you updated on what’s happening at a macro level and how that affects our investments. That way you’ll be a more informed investor (and don’t be surprised if you start spotting profit opportunities on your own as a result). Clear buy and sell instructions… Whenever I recommend a play, you’ll know exactly what to do to collect maximum profit. No more guessing or being left in the dark wondering when to collect your profits, or whether you should add to your position. Our Growth Stock Advisor Mailbag: This gives you the ability to send me and my team questions, anytime, and receive prompt, helpful answers. While we can’t give personalized investment advice, we can give you clarification and insights about the recommendations we’ve already published. Live customer service for any time you have a question about your subscription. Of course, you can always contact me directly for your investing questions, but sometimes you need immediate answers about your subscription instead. That’s why we have live, U.S.-based customer service for you during normal business hours. No complicated calling trees with Press 1 for this and 2 for that, no time zone issues half a world away… just reliable, friendly help when you need it. This is a valuable service for serious investors. Other newsletters go after less-informed investors looking for a ‘get rich quick’ idea. In my decades of reviewing stocks, I’ve seen very few of those type of plays work out. That’s why I’m here presenting you an exciting service with more guaranteed, conservative plays. 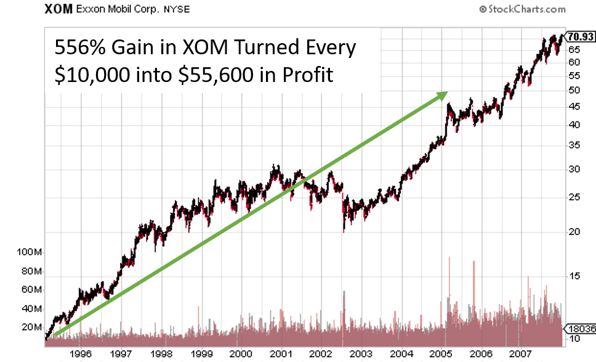 I’ve shown you some of the long-term gains in boring old names like Coke and Exxon. The value is being an early investor. So, I ask…if you had an opportunity to invest in the next future A-LISTER stock, alongside Coca-Cola, Microsoft or Charles Schwab, would you do it? Investing in each of these would’ve made you millions. The company wrote about today most likely will sit beside these companies for years to come. …Will you be a Schwab or a Kodak…? I can’t just give these recommendations away to the public. It wouldn’t be fair to those who currently pay for my research. Don’t worry, though…you won’t have to pay thousands to get access to any of this. WILL YOU LOOK BACK AND WONDER HOW YOU MISSED THIS GLOBAL CRISIS? The going rate for Growth Stock Advisor is a mere $195 per year. However, because this is such a clutch opportunity for you, and I understand you and I don’t know each other yet, I’m willing to make a deal. 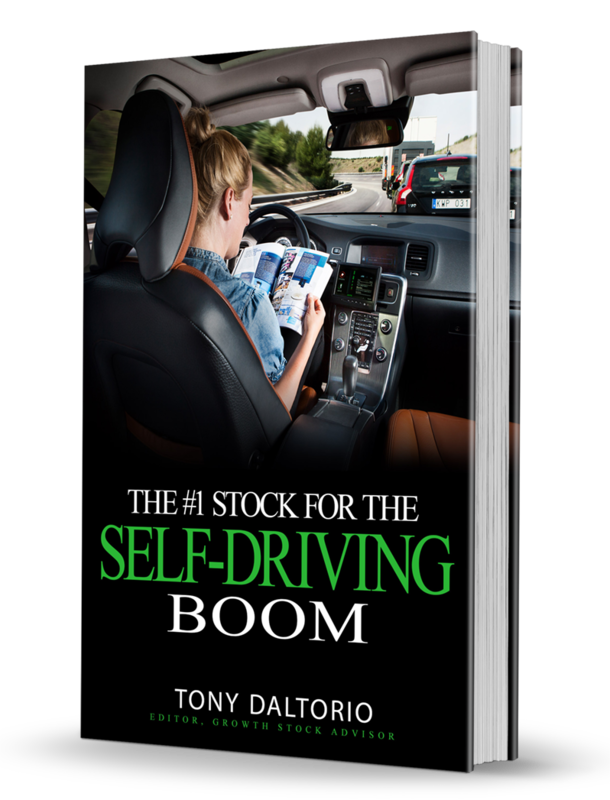 If you join me today…and get this exclusive free report, plus a trial subscription to Growth Stock Advisor, I’ll cut 75% off the price right now. All you have to do is make a decision. 75% off = $49/year. That’s it. Less than a dinner for two in most cities. Don’t let this small amount stand in the way of a financial future for you and your future generations. Your great-grandchildren will look back and wonder how you didn’t see this tremendous profit opportunity coming. I promise you that in 20 years from now, this opportunity will be just as obvious as investing in Coke 20 years ago. So, let me do one more thing for you, and this is from the heart. If during the first 60 days you don’t feel I’ve delivered on what I’ve written here, you get a full refund of every penny. Plus, you can keep the special report as a ‘thanks.’ However, I don’t think you’ll be asking for refund in 60 days, or even this year, or even the next 5 years. Still…I want to make this easy for you. Many newsletters only give you 30 days to test drive. I’ll double the time you get. I pour my absolute best research into my monthly Growth Stock Advisor reports. I spent countless hours into the night finding the companies I’ll recommend you. All you do is log in, take 5 minutes to read the briefing, and invest in your future. The rest of the day is yours to spend. No extra time to research or listen to boring financial presentations. Or, even better, I’ll email it to you if you don’t want to log-in. You get both. Thus, I’ve made it super easy with value to boot. I call it my ‘75-60’ deal. 75% off I told you about. All my deep research and reports. In fact, not only will you get your free water report, I’ll also include some other special bonus reports. Here are 2 more ALSTs I promised. I mentioned there are more stocks just like my future A-LISTER. One of them is right at the cusp of the self-driving boom. Nvidia’s CEO believes fully autonomous vehicles will be on the road for good by 2022. Audi, Ford, GM, Volkswagen, BMW…the list goes on…they’ve all announced self-driving cars by the early 2020’s. By 2020, their software business alone is believed to be worth a billion dollars. Only Tesla uses a similar software to them. I just announced this pick at the beginning of Jan 2018. The runway is massive for the car industry. This is an exciting, yet low-risk play to make. Goldman Sachs believes drones are creating a “$100 billion dollar opportunity.” And if you look closer, it’s easy to see why. Amazon is working on delivering your packages with drones. Google is experimenting as well with them. I recommended this “#1 drone” company back in August 2017. Since then, it’s up 47% and climbing. These aren’t playthings anymore. They’re becoming commercial powerhouses and I’m giving you the #1 stock to play (free). This 37 page dossier is packed with some of the deepest insights on the digital revolution taking place. 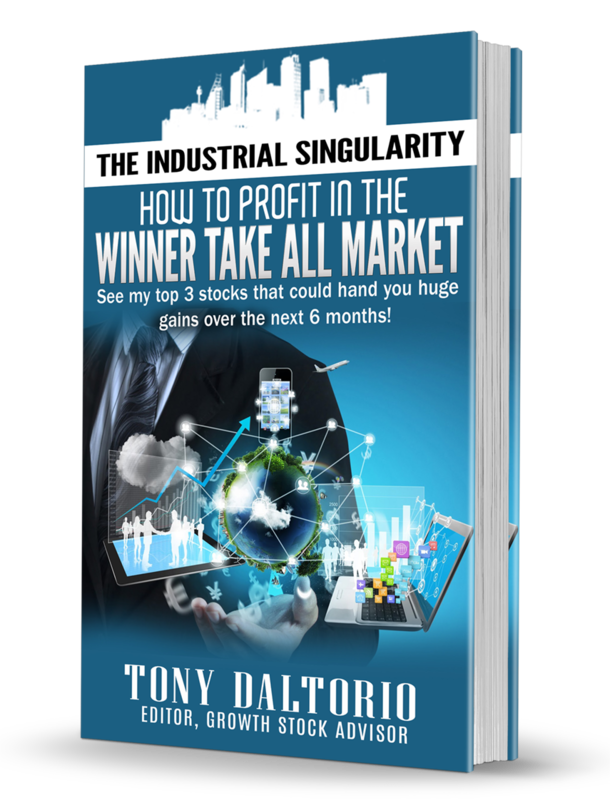 Industrial Singularity centers around artificial intelligence (AI) and other technologies creating $100 TRILLION in wealth in the coming decade. One report will show you where to invest. The secret key to profiting during market pullbacks. Like any bull market there’s going to be ups and downs along the way. But I’ll show you the simple strategy you can use to protect your portfolio during even the most destructive market pullbacks. If you’re a serious investor, you can’t go wrong investing like the great Sir John Templeton. 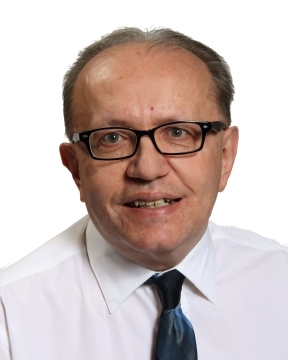 He was the first investor to introduce global investing to US investors. 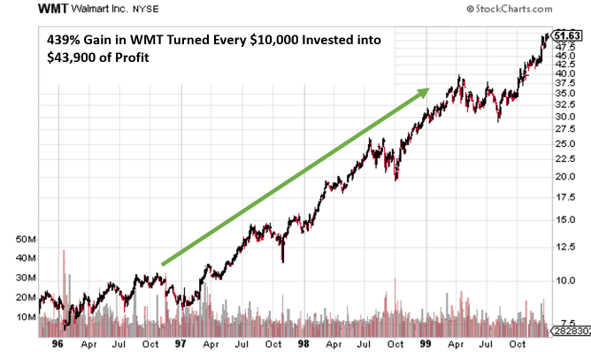 Templeton’s market fund, “Templeton Growth Fund”, racked up an enviable track record. It returned an average of 13.8% annually from 1954 to 2004. Inside this bonus are Templeton’s principles. They’ve shaped how I approach investing and the core to my strategy as the Growth Stock Advisor editor. That’s what A-LIST Stocks of Tomorrow are. It’s not simply a ‘buy and hold’ a solid stock. It’s keeping my eyes open and my ears to the ground for an innovative, proven company to make that next move…especially during those ‘clutch’ moments. This book reveals a lot about my own strategies and how I was able to predict Microsoft’s meteoric rise. Or, Coke’s 811% run-up in the 90’s. 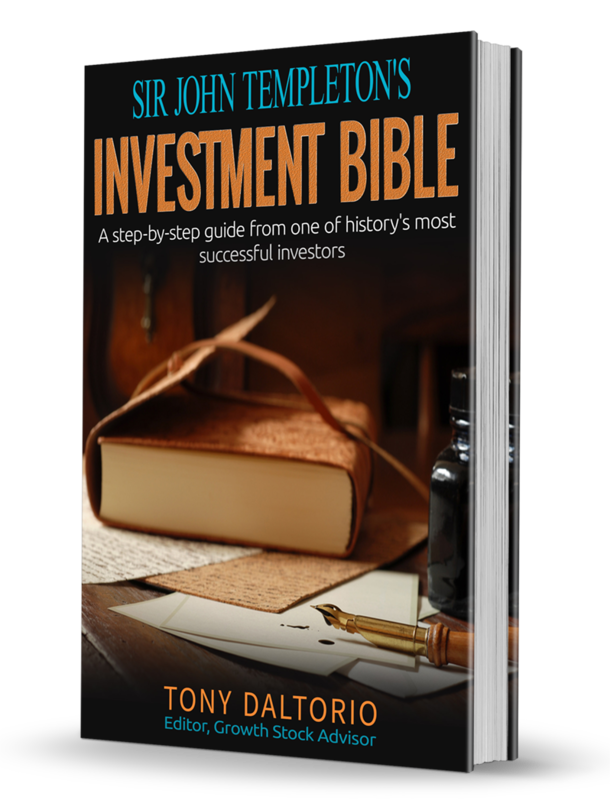 More importantly for you, I’m giving you Templeton’s strategies and tactics so you never make another investment without them again. But I want to give it to you free of charge as a token of goodwill for joining Growth Stock Advisor. Like I said, Growth Stock Advisor is all about finding the best opportunities in the market, no matter the industry. You’ve seen now all the value you’ll get. In total, this is $640 of value. All you’re paying today is a one-time $49 charge. On top of that, you have 60 days to test out all my recommendations. Now, there’s little time left. I mentioned this ‘future A-List’ won’t stay cheap much longer. It’s already increasing in price fast. There’s no telling when it will stop. Waiting until the crisis hits frontpage news means it’s too late. Kurt Ford, a Philosophy PhD, was one of the largest I’ve found, who recently banked a whopping $498,300 on an ALST. Join me inside Growth Stock Advisor and get access to this unique opportunity, plus a dozen others. The risk is on my shoulders. Your next step is to click the link below. After you click the box, you’ll be taken to a short page to read over the final points. Then, you’ll put in your information. Within minutes of this, you’ll get an email with your log-in details for my secure site. Once on the site, you’ll easily navigate to find your free special reports and my current and back issues. Again, I’m throwing all my best stuff out there for you. Everything and the kitchen sink, if you will. Here’s $640 of value, my top research plus the mastermind of legendary Sir John Templeton…all for a mere $49 starting now. And this is just the beginning…there are at least 3 more ‘A-List Stocks of Tomorrow’ I have in my notes. I’m vetting them now, and will release them as part of your subscription. Don’t wait until then…because this stock is going up as we speak. I just showed you a company tackling the “#1 crisis” in the world. The entire water industry will need 15X more invested in it for everyone to continue to live our normal lives. Not to mention, the stock I showed you is climbing daily. Every second you read this, you’re missing out. That’s why I urge you to do the right thing. Join me now in Growth Stock Advisor. I’m excited to see you inside and watch you profit. P.P.S. I’m including my new ‘75-60’ deal here. You get 75% off what normal subscribers pay, plus 60 full days to test out my picks. In the next 60 days, you should see two more ‘A-List stocks of tomorrow’ hit your inbox. I just released another a few weeks ago. Not to mention, I’ve stockpiled this with tons of free bonuses including a report based on one of the top investors of all time, Sir John Templeton.